The exploitation of mineral deposits is followed by the formation of huge amounts of wastes, which have strong negative impacts on the surrounding environment. 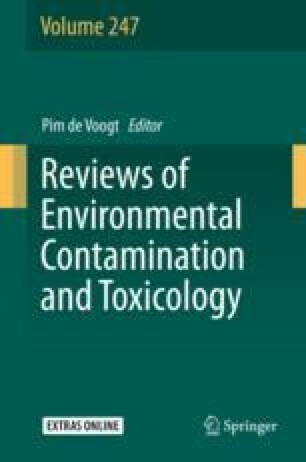 This paper presents the results of the compilation of data on general environmental problems in sites of waste disposal from mining and ore processing in Russia, based on the analysis of published data and own research. The own research of the authors relates to the estimation of the environmental hazards of mining waste using geochemical investigations and biotesting, as well as the development of the classification of technogenic mineral resources counting the reasons of the accumulation of precious components in them and findings on their environmental impact. The influence of waste disposal was determined as significant and diverse, leading to the transformation of all natural compartments surrounding waste disposal sites. The situation is especially aggravated when there are some mining and processing facilities within one relatively small territory. As a result, strong influence zones are formed. These zones have pronounced geochemical features reflecting the specificity of extracted rocks and produced raw materials. The analyzed information can serve as a basis for the development of nature protection measures for the mining waste disposal sites in Russia. Such measures using modern technical means for monitoring can minimize environmental damage from technogenic mineral formations.